You can take an advantage of automated data migration service Data2CRM to migrate your data directly from Excel to Salesforce. The SaaS can transfer all the records automatically with saved relations between records and with no need to convert the iformation to CSV files. As a result you will get fast and quality automated data migration without any loss and with kept relations between records. You may take a look at Data2CRM at StackExchange (https://appexchange.salesforce.com/appxListingDetail?listingId=a0N3A00000EjVSuUAN" target="_self). Or try the service in action by running Free Demo Mifration (https://app.data2crm.com/migration/wizard/). Hi there no it wasn't using Data2CRM, I am trying to use Sales Force and need the easiest method please!!!! Hi Oleksandra I tried importing all my leads yesterday and this message came up. “ No link is available because you do not have the correct permissions to manage Bulk Api jobs” – see below 1. 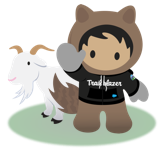 What is the problem I urgently need your advice as I need to complete my leads import today for a meeting on Monday Original Message----- From: noreply@salesforce.com Sent: Thursday, February 7, 2019 19:44 To: stuart@krostmarketing.com Subject: Salesforce import of "COMBINED CONTROL DB 010618.csv" has finished. 2911 rows were processed. Your Leads import is complete. Here are your results: Leads Created: 213 Leads Updated: 0 Leads Ignored: 0 (We ignored updates that we couldn't match to an existing record.) Leads Failed: 2,698 (We couldn't import these due to errors.) Leads Rejected: 0 (We rejected duplicate rows.) Processed job information for imported Leads: No link is available because you do not have the correct permissions to manage Bulk Api jobs. The details of the first 1,000 errors can be found in the attachments for this email: Kind regards Stuart L Schwabe Contact details: 081 472 7687 | "In God I trust, everyone else send leads"
The API issue seems like it's just stopping you from seeing the full results. First 100 should be attached to the email and that will give you an idea of the reasons the leads are not importing. In my experience it's date format, always causes me problems. Are you using dataloader.io of the SF dataloader download? Got an example of the error message from the error file?